Posted January 22, 2013 & filed under Blog. Recently, the Wisconsin Supreme Court ruled on a case that pitted citizens near Lake Beulah against the Department of Natural Resources. The case will have wide ripple effects. Residents were concerned that a new high capacity groundwater well would cause water levels to drop on the lake, and property values to follow. The DNR had issued a permit without having studied the environmental impacts sufficiently, according to the petitioners. So the DNR has to act with citizens in mind, protecting the public trust through well permitting approvals and enforcement, but citizens must act too. Discussions of natural resource protections are, indeed, community wide, so some of the facts must come from residential well-owners. This has practical merit, since citizens bear many of the costs and consequences of the DNR’s decisions. Lacking simple tools, however, it’s hard for people to do, so it almost never happens. Finally, with shrinking public budgets and fewer agency resources, future data collection and analysis to inform development decisions will fall to citizens more often than not. Our market research finds that in the US alone, homeowners and farmers who depend on groundwater pay upwards of $1.2 billion dollars a year to keep water flowing from their own wells, even as large consumers like cities are tapping the same groundwater and perhaps causing aquifers to shrink. In order to defend their water and their property values, homeowners will need information and they’ll have to share it to support the science. But how will homeowners with wells participate in scientific environmental impact studies? The key is cost and simplicity. Wellntel has a team of scientists and technologists working on the problem. We have filed patents on new technology that will inexpensively collect information about groundwater and help citizens to share what they know with agencies like the DNR. This will help the DNR to better understand the environmental impact of their decisions, and support future decisions with ample facts. Well owners and water well contractors can use Wellntel’s low cost sensors to monitoring the health of the water supply and take preventive steps to avoid expensive well failures. As importantly, with insights into groundwater health and trends in their neighborhoods, they’ll become key stakeholders, along with the DNR, in protecting Wisconsin’s water. Wellntel sees a future, just a few years from now, where agencies with large responsibilities to ensure the public trust cooperate with the public to gather information to improve their work and make Wisconsin a better place. Copyright 2013 Wellntel, Inc. All rights reserved. Posted January 7, 2013 & filed under Blog. Geopoliticalmonitor report also cites farming pressures, mass migration, and climate change as major threats to water security. Key Quote: By 2030, we will need enough water to support an additional billion people, and the burning question is: where will this water come from? Global fresh water supplies that are readily available are already in decline and most governance structures are unable to adequately manage long-term supply. Of particular concern is the fact that global groundwater levels are falling at drastic rates. Groundwater accounts for nearly half of the drinking water in the world, and it is used to grow food that millions of people rely on. But out of sight means out of mind, and there is little data on how much water actually exists in these underground lakes. As a result, most of them are not managed sustainably or equitably. Read the complete report here: Canada and the Global Water Crisis: A GPM Interview – Geopolitical Monitor. Posted December 18, 2012 & filed under Blog. We hope to see you at the National Ground Water Association‘s 2013 NGWA Summit — The National and International Conference on Groundwater, held Sunday, April 28, 2013 through Thursday, May 2, 2013 in San Antonio, TX. Smart grid pilot programs often demonstrate that the key to effectively lowering energy consumption and gaining new capacity from a limited supply is not the remote control of energy consuming devices. Instead, real conservation comes as a consequence of putting clear information about energy usage and costs into the hands of the people who pay for it or are charged with the stewardship of systems that depend on it. Water policy-makers, regulators and advocates would be well-served to consider a groundwater monitoring system that taps lessons learned and avoids pitfalls found in Smart Grid development. Water information systems must meet consumer (and trusted advisor) needs first, since most consumers, and the well-drillers that they depend on for services, have a stake in the resource itself, in the form of either land ownership or economic dependency within a region. Moreover, any platform that shares information about groundwater must have the ability to do more than just spot-check or be the basis for new development or regulations. Groundwater monitoring can, and should be designed to allow anyone with a well to see not just their own impact on the resource, but the bigger picture too: resource health, trends, factors that contribute to risk. Moreover, a modern groundwater grid should allow policy to be designed not on supposition and estimates, but instead, on facts, netting workable pricing and policy that feels, to the informed consumer stakeholder, like a logical, thoughtful agreement, not a heavy-handed remote control imposition. A Groundwater Grid can, as the Smart Grid sometimes does, relieve heavy pressures on a finite resource. But unlike electricity, water resources can renew without massive spending. So water monitoring systems are a worthy, albeit a necessarily carefully planned, investment. This presentation will explain how useful, democratized water information, at the right price and in the hands of the right stakeholders, is key to sustainable groundwater practices. Posted December 6, 2012 & filed under Blog. Awareness of the impact of water related issues on business operations is growing. 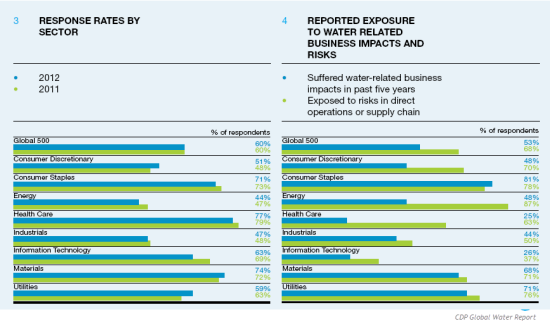 The CDP Global Water Report, which surveyed 185 of 318 companies listed on the FTSE Global Equity Index Series (Global 500), found 68 percent of companies view water as a substantial risk to their business. Companies are even beginning to reach into their supply chains to understand risk. Nearly four in 10 respondents (39 percent) require their key suppliers to report on water-related risks, up from 26 percent in 2011. However, they aren’t yet willing – or able – to share that risk awareness with shareholders. …despite increased awareness and activity among some companies, 60 percent of companies responding to the survey—the same result as last year— indicated a lack of transparency with investors. One bright spot in awareness and action: General Motors. (GM) has improved the water efficiency of its manufacturing plants. Its assembly plant in San Luis Potosi, Mexico was designed with a zero discharge concept and 90 percent its wastewater is treated onsite and re-used to make vehicles. Well water consumption has been reduced by 20 million gallons per year, as a result. Posted December 3, 2012 & filed under Blog. 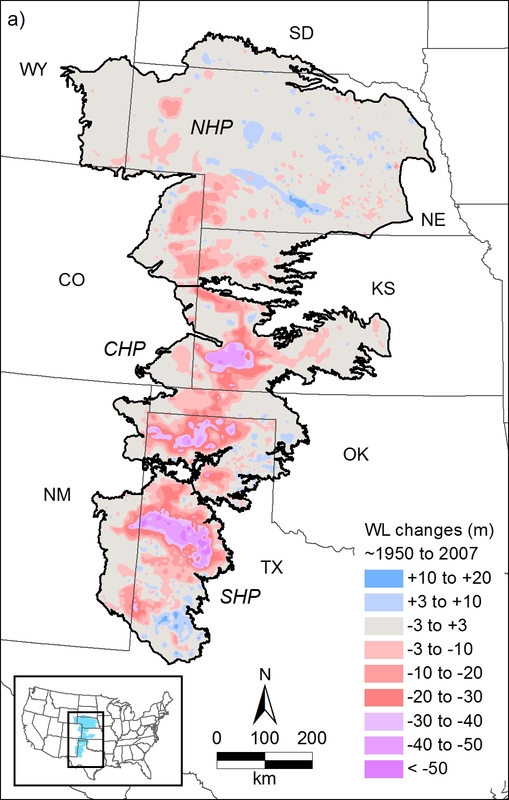 Principle among the study’s findings: when comparing the average Static Water Level (SWL) for 1966-1999 to the average SWL for 2000 to 2012, there has been a 10 to 12 meter (33 to 40 foot) drop in bedrock groundwater levels, and a 3 to 9 meter (10 to 30 foot) drop in glacial groundwater levels. These are modest, but significant, declines in the SWL. Also the drop in SWL does not appear to be the result of less rain, since the weather records show there has been more precipitation from 2000 to 2012 than there was 30 years ago. Some water users have installed deeper wells which extend down into the bedrock Marshall Formation, a thick sandstone. In several areas in central Ottawa County demand for groundwater is high enough that very salty water from deep within the Marshall Formation has been pulled into these wells. The more groundwater is pumped in these areas, the more salty water will move into those wells. This naturally occurring brine water is in the same groundwater resource that chemical and salt companies in Midland, Manistee, and Ludington use to extract various chemicals and salts. Continuing to pump out more groundwater than is being replenished is not sustainable over the long term, [the author] David Lusch cautions. Lusch indicated there will need to be more study to know how much longer the community can continue to pump groundwater at a rate faster than it is replenished. via Ottawa County groundwater has quality and quantity concerns | MSU Extension. Posted November 26, 2012 & filed under Blog. Here is a fun video of a model of the Texas Edwards aquifer, along with demonstrations of recharge and contamination and a call for water conservation and management. Posted October 23, 2012 & filed under Blog. Scientists studying the fault beneath the Spanish city of Lorca say that groundwater removal may be implicated in a deadly 2011 earthquake there. They report in Nature Geoscience that those shifts correlate with locations where water has been drained for years. The study highlights how human activity such as drainage or borehole drilling can have far-reaching seismic effects. 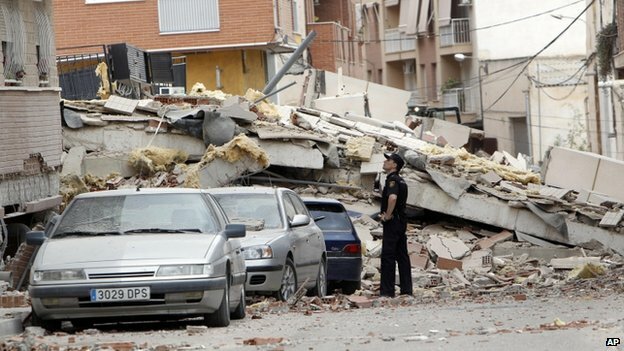 via BBC News – Lorca earthquake caused by groundwater extraction. I think it’s important that people understand how much water they use and where it’s coming from, and how scarce it is in that region. We wholeheartedly agree. It’s what Wellntel is designed to do. But she also does a nice job explaining why in this interview at Earthsky: http://earthsky.org/human-world/bridget-scanlon-on-the-accelerating-depletion-of-groundwater-worldwide. Note: Ms. Scanlon is in Austin, Texas, which depends on the 10,000 year old High Plains aquifer, a slow to renew water source that is under pressure from unsafe yield. Groundwater licensing likely coming to B.C. Posted October 13, 2012 & filed under Blog. via Kelowna Capital News – Groundwater licensing likely to be included in a new water act. Posted October 11, 2012 & filed under Blog. ‘The longer the record you have, the more powerful the data becomes,’ said Lisa Senior of the U.S. Geological Survey (USGS), Pennsylvania Water Science Center in Exton. 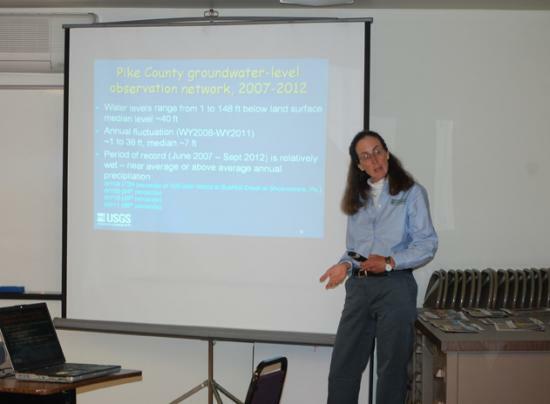 Senior was updating members of the Pike County Conservation District (PCCD) board of directors on the Pike County Groundwater Level Network established in 2007. ‘Groundwater is the main source of water supply in Pike County and is the major source supply for streams,’ Senior explained. The county-wide network monitors 24 wells, ranging in depth from 24 feet to 425 feet to assess the natural fluctuations of the water table. The long-term data can be used for a number of applications, such as understanding seasonal changes, effects of climatic changes and potential impacts of water use upon groundwater levels and stream flow. It can also help to determine drought triggers, evaluate changes in groundwater storage, understand water budgets and estimate stream base flow. PCCD staff currently make the measurements and send the raw data to USGS, which reviews it and enters it into databases for public distribution and long-term storage. USGS maintains a page called Groundwater Watch for observation wells across the country, including those in Pike County. The data is served up real-time, is available to the public for perpetuity and can be downloaded and used freely. For Pike County, having this online data storage and display allows anyone to get access almost as soon as it comes in. Only five counties have such a network. 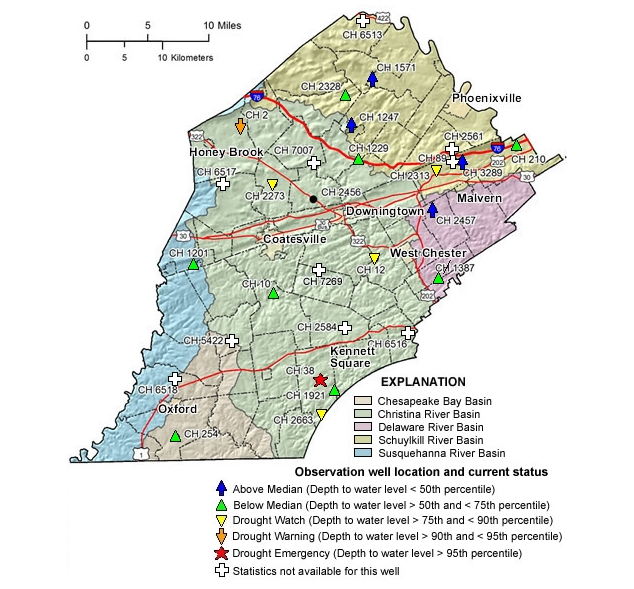 In Southeast Pennsylvania, Chester County uses its network for drought assessment http://pa.water.usgs.gov/projects/assessments/chesco/ground_water.php. Read more at Pike well study sets important baseline | The River Reporter.